London Fire Equipment is a locally owned family business established in 1978. We currently employ 10 full time and 3 part time employees with 7 service vehicles including 1 large trailer ready to serve you. Over the last ten years, we have seen a dramatic increase in the amount of requests from our customers. 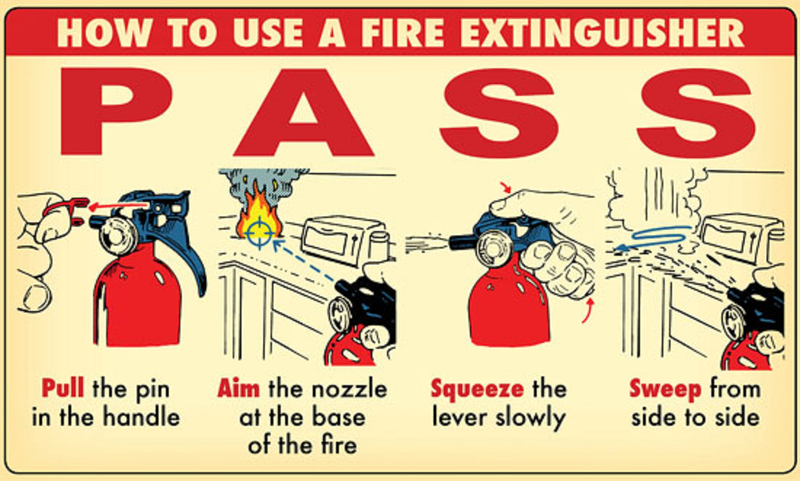 To provide employee training in "How to Use a Fire Extinguisher" studies conducted by various industry associations have shown that trained employees are 5 times more likely to successfully extinguish a fire versus untrained employees. We will come to your location and provide everything necessary for the training sessions. A typical training session will include a 20 - 25 minute discussion followed by outdoor hands on session. Each employee will have the opportunity to extinguish a 30" x 48" pan fire. The total time necessary to train a group of 15 people is approximately 40 minutes. Certificates of completed training are provided for each employee in attendance as well as laminated wallet cards are available upon request. Please contact us for a quote and book your training session today. Copyright © 2007 London Fire Equipment Ltd.All Rights Reserved.